Last minute booking, it is possible! 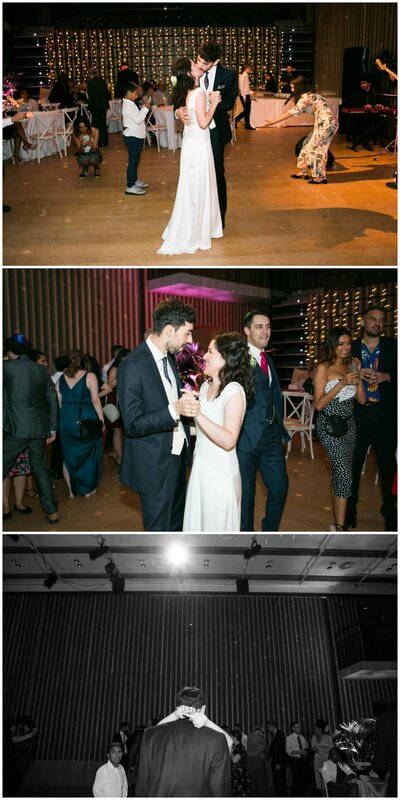 This was a fab laid back modern Jewish wedding at JW3 in Finchley, London. Zara and Alex only contacted me a few weeks prior to the wedding. I can get booked up very far in advance, but also there are always dates available. 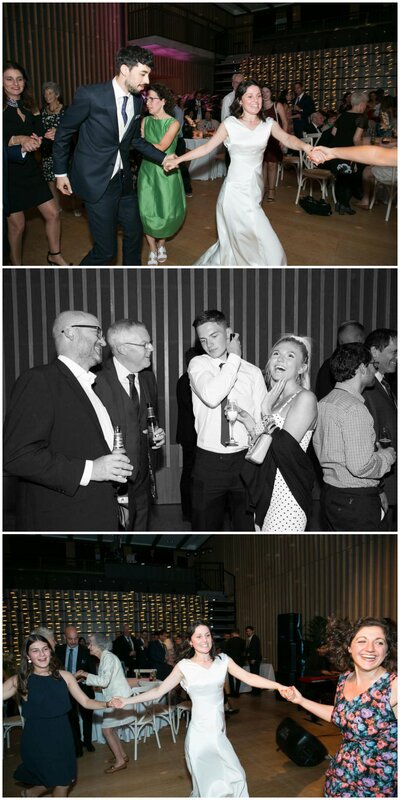 This wedding was on the Sunday of the August bank holiday, I was free, so I was booked. Yey! It’s always worth asking for availability, as you never know. They wanted really unobtrusive, informal images. No groups, maybe not even any couples portraits. 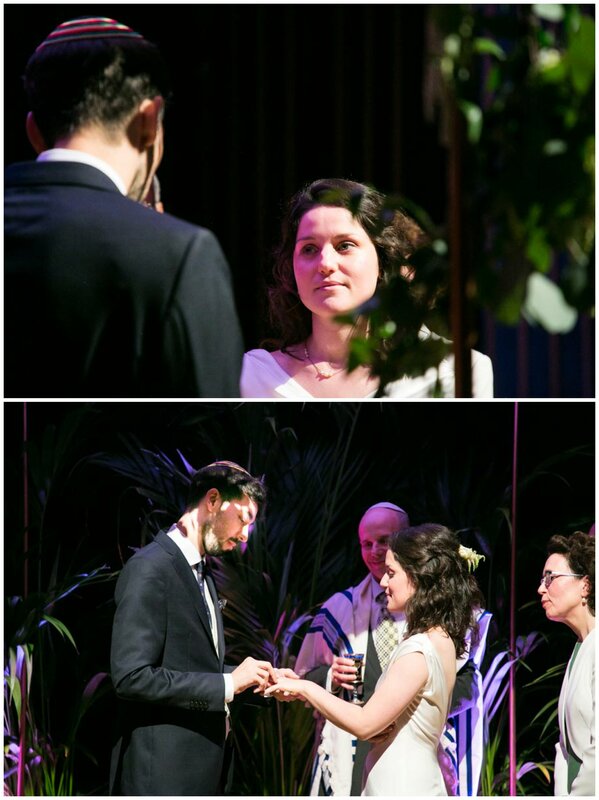 Just lovely images of the day as it unfolded. What a thrill that they chose me to be their wedding photographer. So August bank holiday came around, and the one rainy day was the wedding day. But, it really didn’t matter as it was all indoors. 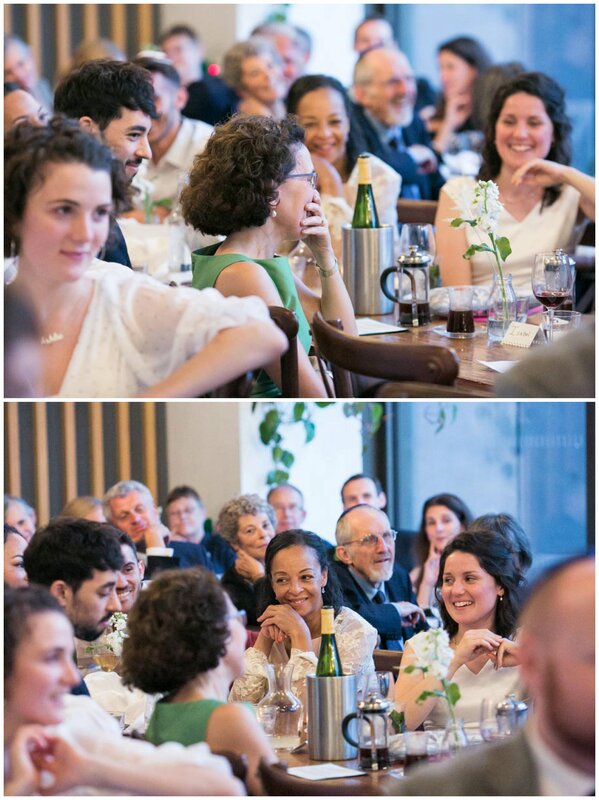 My first Jewish wedding to photograph. This was a later than usual ceremony, in a room with no natural light. A real contrast to where I usually would be shooting weddings, a challenge but a thrill too! 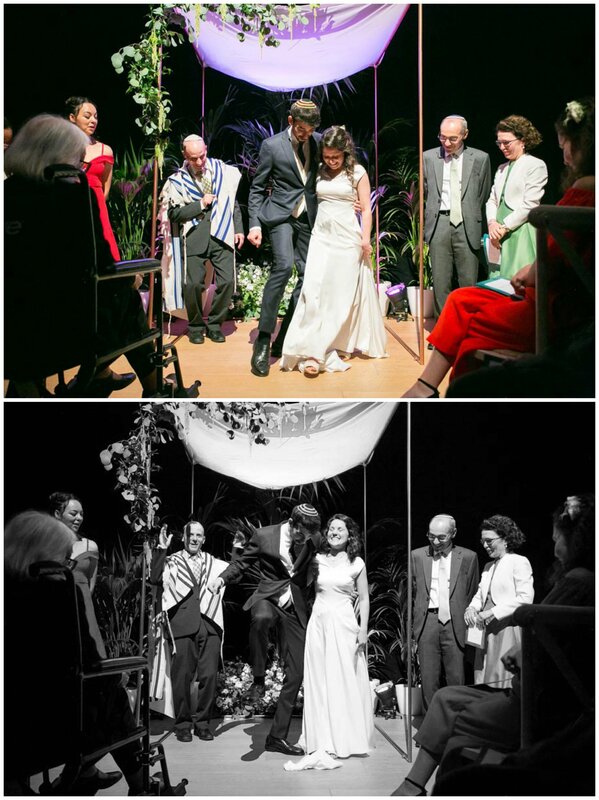 And my first Jewish wedding ceremony added to the anticipation and excitement for me. 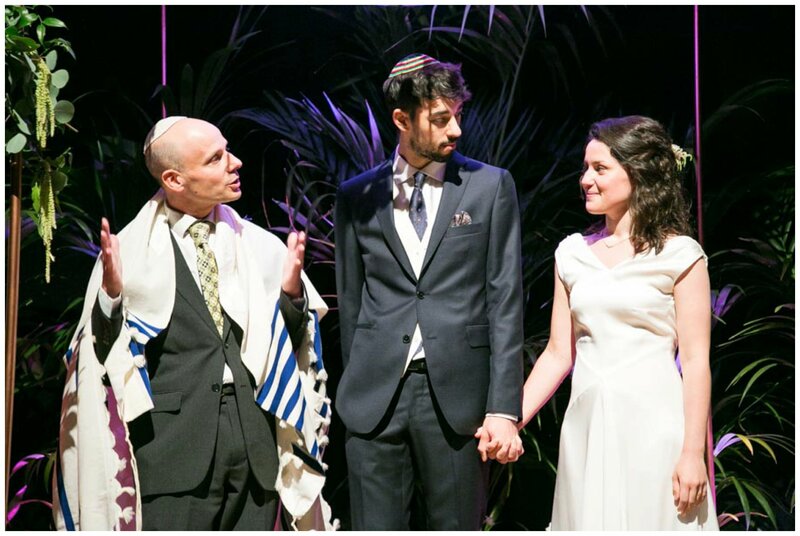 I met the lovely couple shortly before the ceremony as they mingled with guests and went over things with the Rabbi. 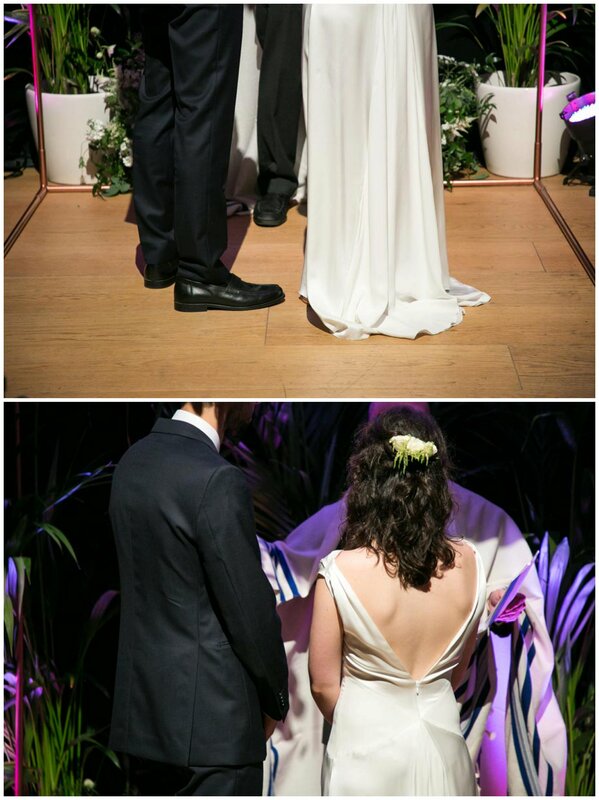 This wedding was a fab mix of traditions and informalities, their day their way for sure! 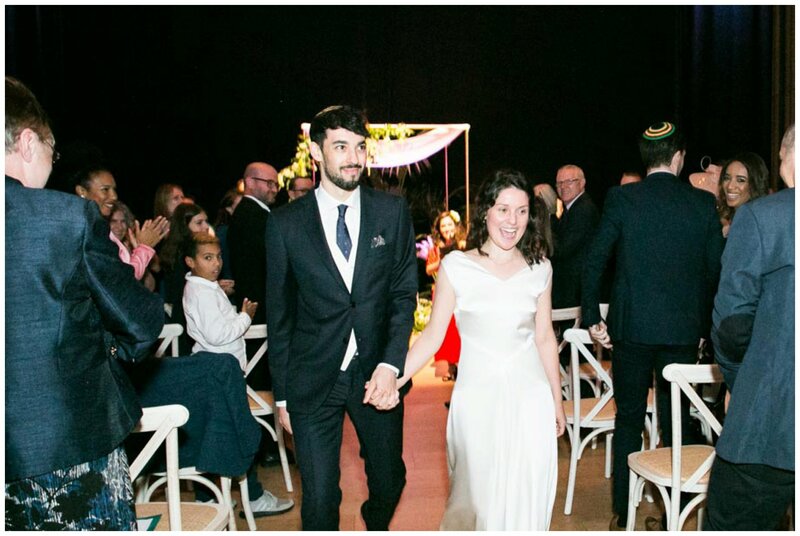 Stunning spotlighting around the traditional chuppah highlighting the amazing flowers by The Flower Arranger, as well as the couple and their close family. 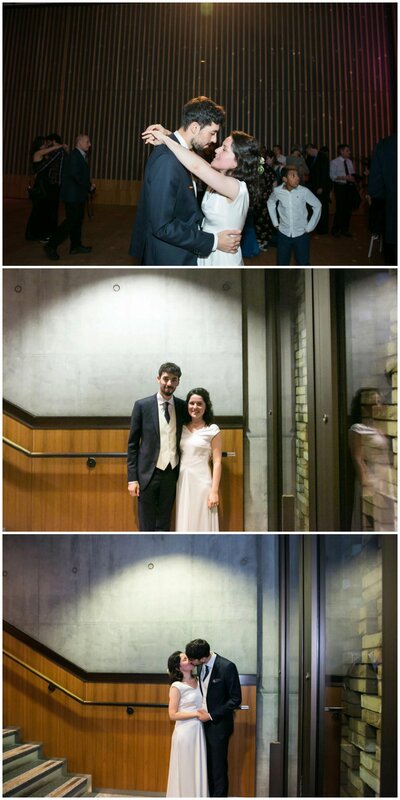 It was fun and heart felt ceremony, and the wedding was sealed by the breaking of the glass. A real joyous occasion. Amazing music, dancing, and singing. 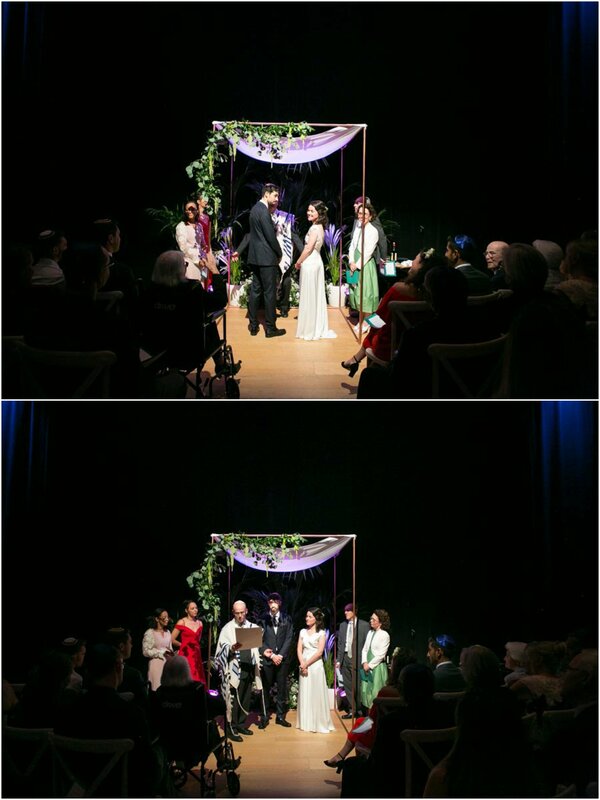 The couple mingled with guests while drinks and canapes were shared after the ceremony. They then headed into the daylight flooded restaurant next door. Wonderful long tables and sharing platters lead to a fabulous atmosphere and a real coming together of family and friends. We went back into the main room and an amazing band played, (sadly I don’t seem to have their details, but they were incredible!) The bride and groom had their first dance. Zara is a jazz singer and music is so important to them as a couple, and this shon through in their fabulous dancing. We then took ten minutes out to get a few couples portraits. The rain was still pelting down and also the light had gone, so we stayed within the building. A stairwell with spot lights and patterned wall were enough to create dramatic backdrops for this relaxed couple, capturing a moment of calm away from the festivities. As the evening continued, more dancing ensued. When guests danced the Horah it culminated with the bride and groom being lifted up on chairs. They had expressions of delight and a little fear as they were carried around the dancefloor. I really loved this wonderful tradition, and it gave me tonnes of amazing photo opportunities of course! Cutting the (macaroon) wedding cake. The evening for me ended as Zara and Alex delivered speeches of thanks. 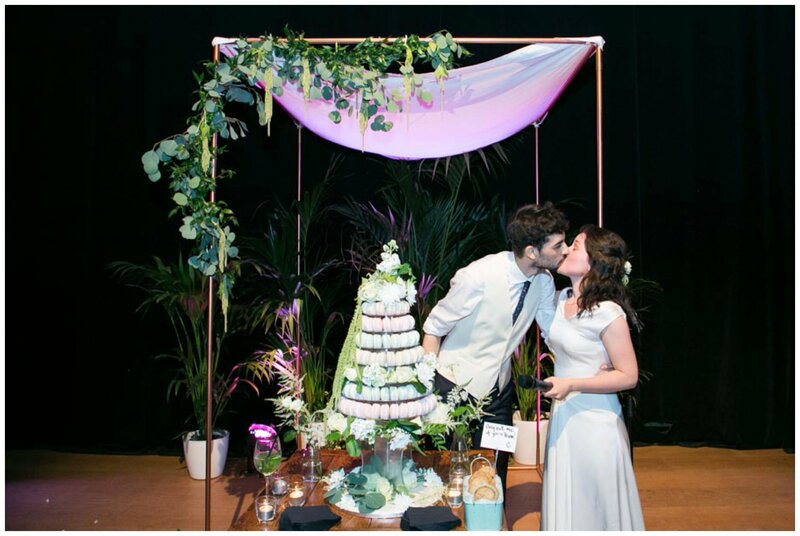 Then they merged traditions by feeding each other macaroons from the incredible cake tower. After which Zara mixed things up by throwing a macaroon as if it were a bouquet. A very thrilled young man caught it with delight! What a wonderful day to be a part of. Full of new experiences for me, and a fantastic day for all involved. 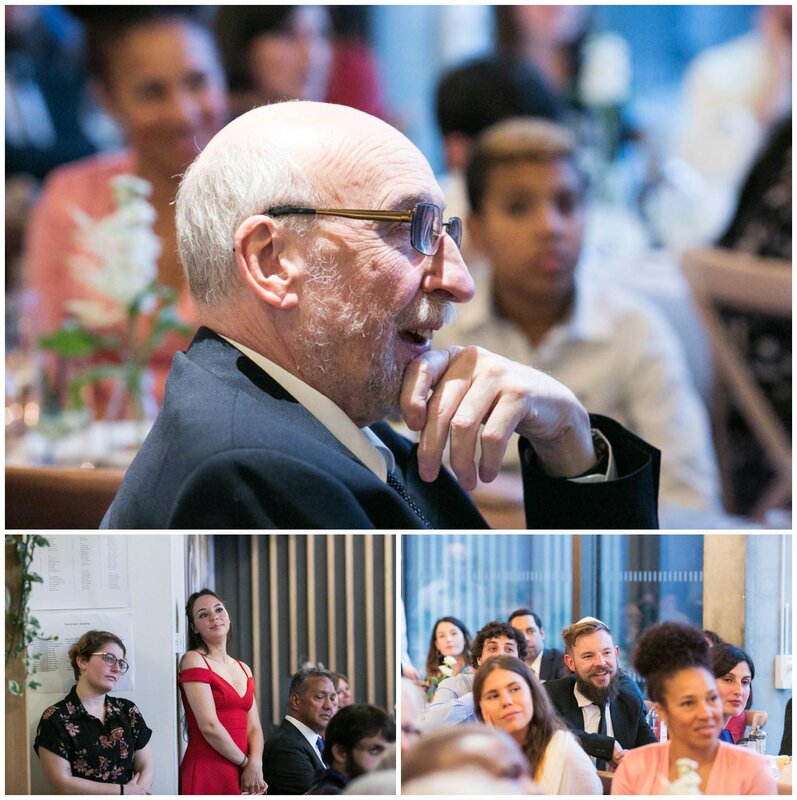 If you’d be interested in having me photograph your London wedding or Jewish wedding, please do get in touch.